Ruby first witnessed the effects of Idiopathic Adolescent Acute Neurodegeneration (IAAN) when her classmate spontaneously dropped to the cafeteria floor during lunch. This mysterious disease has since killed 98% of America’s youth population in rapid succession. Those few that do not succumb to the illness emerge with an assortment of powerful (and frightening) abilities. So frightening in fact that when Ruby awakes on her 10th birthday, her parents lock her in the garage and immediately call the police. She’s then carted off to Thurmond, a government-run camp operating under the guise of “rehabilitation” manned by the US military’s new Psi Special Forces (PSF) branch. Upon her arrival, Ruby discovers that kids with her particular kind of abilities are considered especially dangerous and are to be executed on-sight. In a desperate act of self-preservation, Ruby disguises herself and her abilities to escape detection. Now 16, Ruby’s secret is out and a group called the Children’s League comes to aid her in her escape from camp. In exchange, they want to train Ruby as a soldier in their fight against the government. Perturbed at the idea of being used as a weapon, Ruby runs – right into a group of kids in search of East River, a haven hidden away to protect AWOL youth like themselves. She joins their ranks, but she fears that her presence is putting her new friends in danger. PSF’s and Skip Tracers are intent on tracking them down and Ruby’s lack of control over her abilities puts everyone at risk. While war wages on the outside, Ruby must battle her want of companionship against her need to protect said companions. 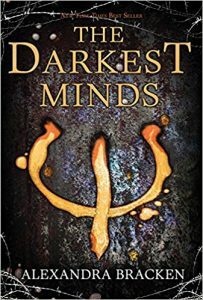 The first in a series, The Darkest Minds is thrilling, heart-breaking, and a little bit terrifying from beginning to end, exploring themes of friendship, self-sacrifice, and overcoming fears along the way. Find it in the catalog. This is the true story behind Bart Miller’s creation of the song I Can Only Imagine. As a young boy, Bart Miller (played by J. Michael Finley) grew up in a home with an angry father (played by Dennis Quade) who mistreated his mother and made Bart feel like he would never amount to anything. With the support of his friends, his own courage, and his strong faith, Bart persevered. After finishing high school, Bart left his home and his miserable father and ended up joining the Christian band MercyMe. Although the band is successful, they can’t seem to get the break that takes them to the big time. Feeling frustrated, Bart returns home. To his disbelief, Bart’s father has become a Christian. He is also dying. Bart takes care of his father and finds that he is able to forgive him before he dies. Months later and back with the band, Bart reflects upon what has happened in his life, and the grace that God has shown him. Bart Miller imagines what it would be like to be in Heaven standing before God. I Can Only Imagine is the resulting song. The performances of J. Michael Finley, Dennis Quade, Trace Adkins and Priscilla C. Shirer are superb. 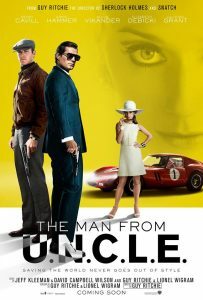 If you don’t have time to watch the DVD, at least listen to the sound track. 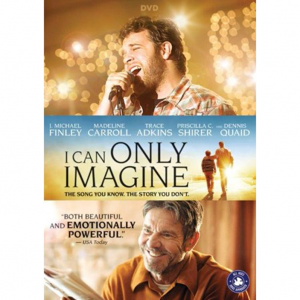 J. Michael Finley, who the film’s producers found on Broadway, gives an amazing singing performance. 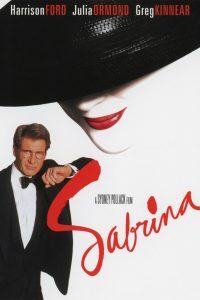 This is an excellent movie. I have to say it is one of my favorites! I give it five stars!! Set in the year 2045, the people of a dystopian global society rely on the OASIS, an immersive virtual reality game, to escape the stress and bleakness of their poverty-stricken actuality. When the game’s eccentric creator dies, he sends the entire world on an 80’s-themed treasure hunt—the prize being his enormous fortune and complete control over the OASIS. 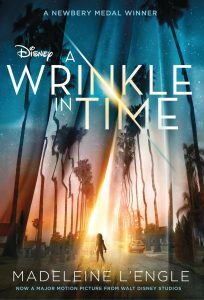 Wade Watts (aka Parzival), a teenager “gunter”, devotes his life to the contest, studying all things retro, while navigating this fantastical and dangerous universe in pursuit of the elusive “Easter egg”. 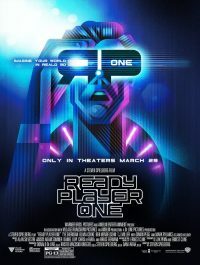 Ready Player One combines 80’s nostalgia with the transcendence of virtual reality technology in this action-packed adventure, exploring themes of teamwork, perseverance, and the value of real-life connections along the way. Find it in the catalog.